After World War II, Japan was forbidden from having its own army. Although the American occupational administration initially planned for full disarmament, the start of the Korean War forced them to rethink this decision. 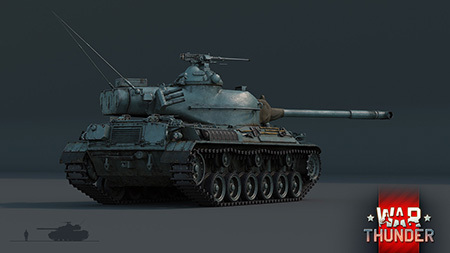 In 1954, the Japan Self-Defense Forces were formed and armed with American M4 Sherman and M24 Chaffee tanks, followed by the more modern M41 Walker Bulldog. These vehicles didn’t suit the Japanese, as the carrying capacity of bridges and the sizes of mountain railroad tunnels severely limited the size and weight of the tanks. On top of that, the Japanese tankers were on average shorter than their American counterparts, so the crew seats were uncomfortable for them. 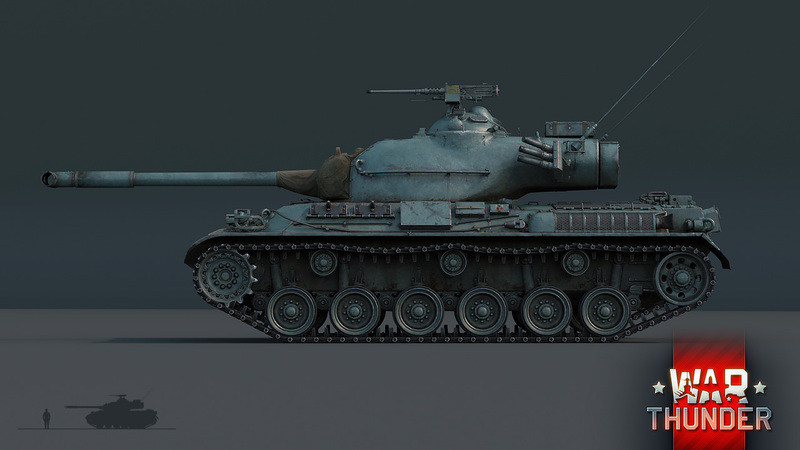 In the early 50s, the Americans provided Japan with the M47 Patton which was evaluated in trials only. The new tank was entirely unsuitable for the Japanese as it was too heavy to be used on japanese terrain. For this reason, the decision was made to develop a similar, but smaller tank and produce a Japanese 90 mm cannon that was influenced by the design of the American 90mm. Various prototypes that varied in different details were provided for testing. The first was the ST-A1 with a low profile (its maximum height, it was just 2.2 meters!). Variants were developed based on the ST-A1 with taller and shorter hulls, receiving the designations ST-A2, ST-A3 and ST-A4. They differed in the design of their turrets and commander cupolas. 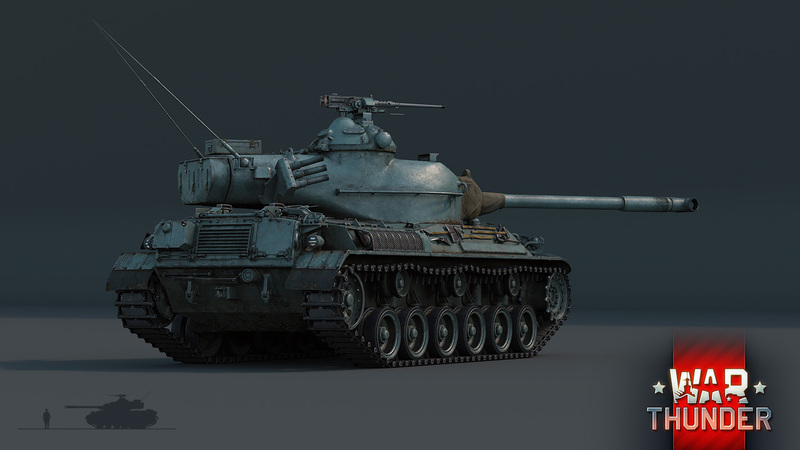 After successful tests, the ST-A4 variant was accepted into service with the JSDF under the designation of Type 61. 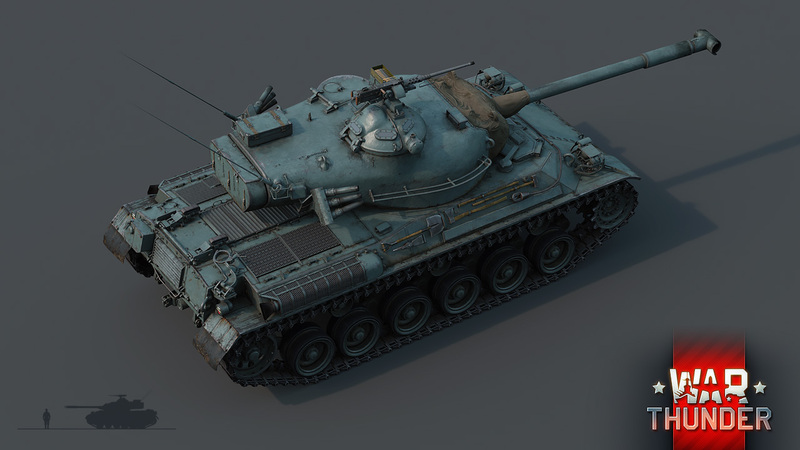 Very soon, the Type 61 will arrive in our game and is sure to amaze players with its outward appearance. After World War II, almost all tank designers tried to place the engine and transmission next to each other. There are few variations here however, as the tank’s engine and transmission can be placed in the rear (T-62, Centurion) or in the front (AMX 13). However with the Type 61, the Japanese continued their tradition of World War II tank design and placed the transmission in the front, but the air-cooled diesel engine in the rear. This is a good move from a game point of view, as if the frontal armor is successfully penetrated, the transmission may “soak up” some of the shrapnel. 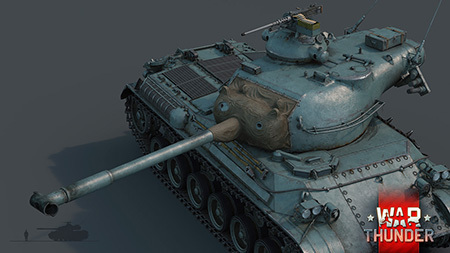 Japanese designers strove to make the tank lighter, so they had to sacrifice armor as a result. The Type 61 can reliably withstand only large-caliber machine gun fire and 20 mm cannon fire, and that only from the front. However, its weight amounts to only 35 tons vs the 46 tons of the M47 Patton II. Its 600 hp diesel engine provides this relatively light tank with very respectable mobility. Its power-to-weight ratio slightly exceeds 17 horsepower per ton. The only thing that limits the mobility of the Type 61 is its low maximum speed (in comparison to other medium tanks) of 55 km/h on roads, with only 45 km/h on terrain. But the Type 61’s trump card is the Japanese version of the American 90 mm cannon. Its decent rate of fire and vertical aiming angles make it convenient to use, and its powerful ammunition can destroy any potential opponent. 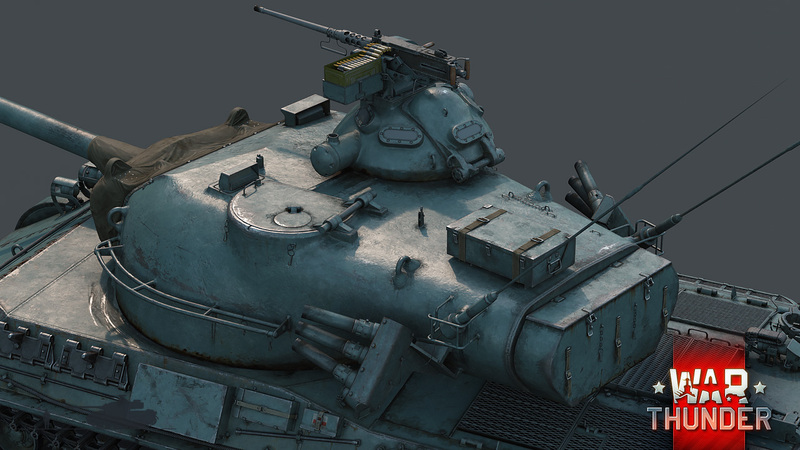 The high-caliber 12.7 mm Browning on the turret roof will also be useful for firing against lightly armored SPAAGs. If you liked the Patton for its excellent mobility and powerful weapon, be sure to try out the Type 61! I didn't have to write this one this time. Gaijin did a good job getting the post just right. Only "Nice"? Emperor is not pleased! "Japanese Patton" nice one Gaijin, can't wait to use it! Type 74, I want it. Colonel_Hogan2, in actuality it is as if a M60A1 and a leopard had a baby, because those are the two designs Japanese tank designers looked at when making the Type 74. For the love of god no! 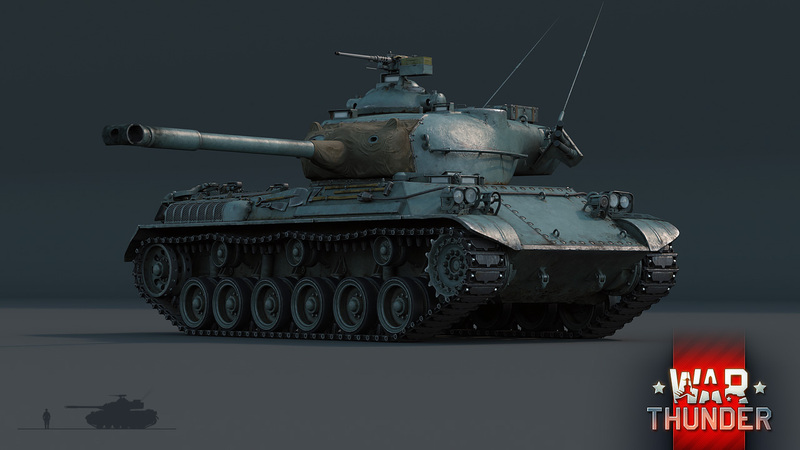 We already have enough cold war vehicles, if we keep this trend up 50's tanks will fight 1943 tanks because they need to balance the T90 and the Abrams.